Ledisi is the new brand ambassador and first celebrity spokesman for Design Essentials Natural. Ledisi hits the nail on the head when it comes to natural beauty. So it’s no surprise the hit singer is the new brand ambassador and first celebrity spokesman for Design Essentials Natural. For years, the Louisiana native has been the unofficial natural hair icon in the natural hair industry, and now she’s pleased to share her hair care regimen with ladies around the world. Ledisi’s favorites within the brand include the moisturizing & detangling sulfate free shampoo, and moisturizing & detangling conditioner. “I curl my hair by putting it into bantu knots every two days and sit under a portable dryer for 4-6 hours,” she says. The nine-time Grammy nominee also palm rolls her hair with Design Essential Natural honey curl forming custard along with extra virgin olive oil, and then finishes her look with the brand’s newest item, coconut & monoi intense shine oil mist. 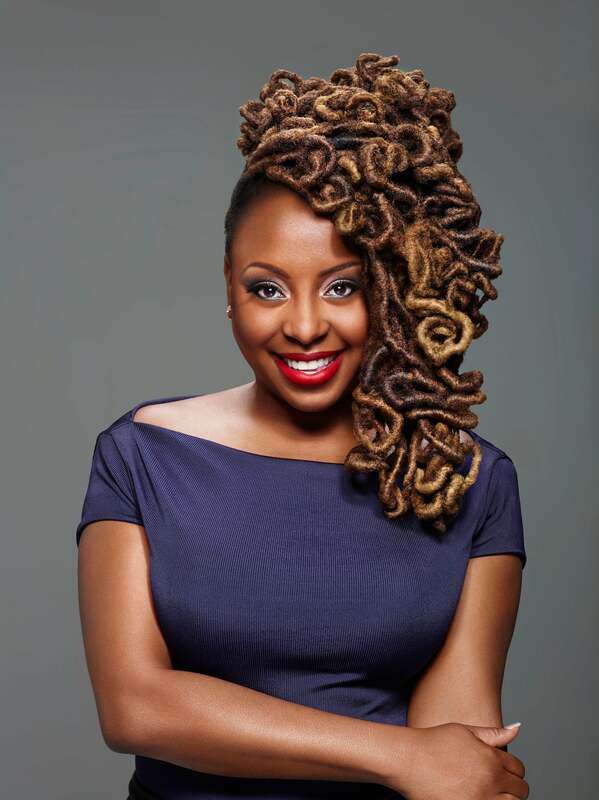 To view a complete list of Ledisi’s tour dates and the accompanying mobile salon stops visit deheartledisi.com.